Home / CEO / Release of CFSI’s first Nagamese film ‘Nani Teri Morni’ in Kohima, Nagaland. Chief Minister of Nagaland, Shri. 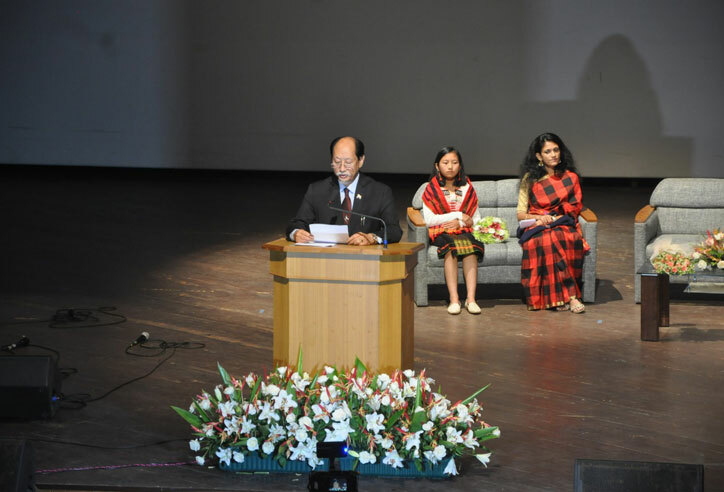 Neiphiu Rio, in presence of CEO, CFSI, Swati Pandey, releases the first Nagamese movie produced by CFSI, “NANI TERI MORNI” to the thunderous applause of 500 plus children in the RCEMPA Auditorium in Jotsoma, Kohima. 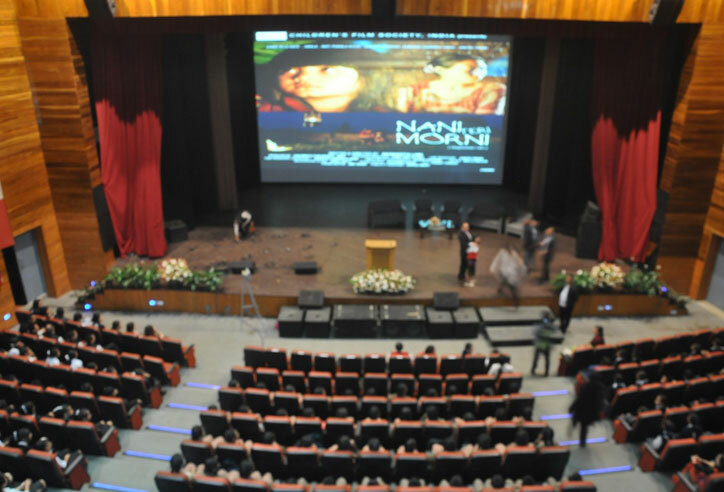 The movie exclusively shot in Nagaland revolves around the life of Mhonbeni Ezung, the youngest recipient of the children bravery awards in 2015, played by child artist Zinen Nilo Kant. 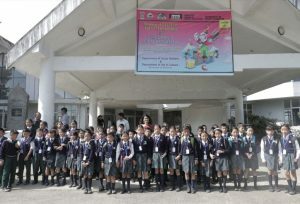 Ms. Pandey stressed that Children’s Film Society, India under the Ministry of I&B, Govt. 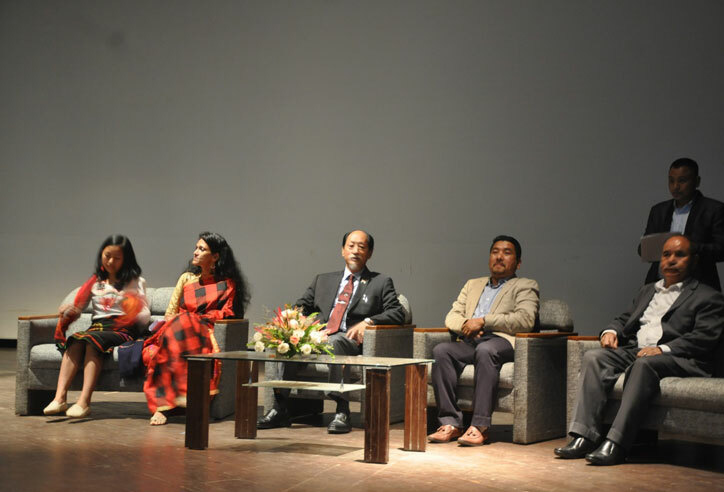 of India, is solely dedicated to the quality entertainment needs of its young audience and it’s current focus is to promote films specially in North Eastern States to cultivate an appreciation for Children cinema. The presence of the child icon herself, Mhonbeni Ezung in the audience served as a reminder that bravery can have no age, creed on religion, it’s only needs a fearless spirit. Dignitaries during inauguration of Children’s Film Bonanza in Nagaland. 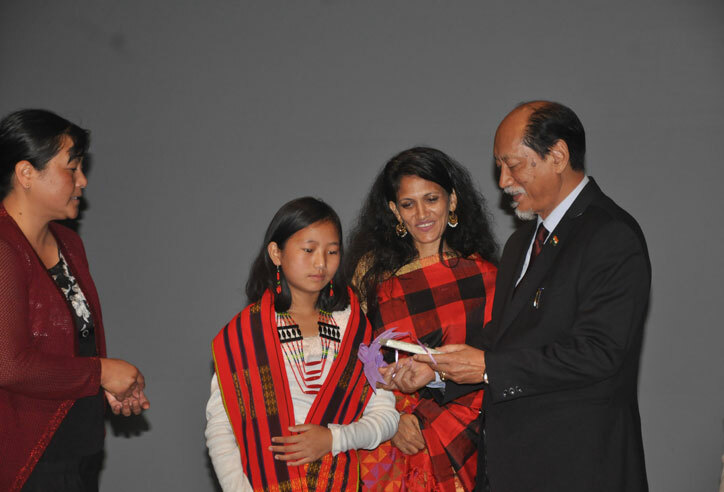 Swati Pandey, CEO, CFSI with little audience of Kohima Nagaland.